During the early 2000’s, Sony rocketed to the top of their market in cameras and lenses. They acquired Minolta, and a few years later came the Sony mirrorless cameras that we know today. Behind Epson who created the first mirrorless camera, Sony also ventured out to create mirrorless cameras along with Panasonic, Ricoh, Olympus, and Samsung – then later joined by Canon and Nikon. Now in 2015, photographers all over the world are wondering if mirrorless cameras are the cameras of the future. What could be so much better about a full frame mirrorless camera versus any other DSLR on the market today? I know there are probably a million questions running through your head about these cameras. I know as a photographer I had my doubts about them, but now I am ready to convert to the Sony A7s! The Sony A7s is a photographer’s dream camera mostly because of the array of features that it offers. It provides photographers with a light, compact, and versatile alternative to heavier DSLR bodies. It even has a high speed, hybrid autofocus system that makes it perfect for those sport shots. The A7s is packed with an impressively high ISO range that up to 102,400 ISO. Its expandable ISO range goes from 50 ISO to an astounding 409,600! One of the biggest features of the A7s is its capability of shooting 4K video. The 4K video resolution upscales the quality of the image, and is four times the resolution of 1080p. The dual voice recording allows videos to be recorded at a high quality AVCHD and a lower quality mp4 version as well. However, with the pros of a camera also come the cons. Although the A7s is a superb camera, some of its features lack refinement. One of the most commonly reported problem is how horrible the battery life is. The battery will last or about 350 – 400 shots – video will drain the battery even quicker. Fortunately, it comes with two batteries. Although it has a full frame sensor, the A7s only offers 12.2 megapixels versus other full-frame competitors that pack over 24 megapixels (and sometimes much more). Though the Sony A7 and A7r offer 24.3MP and 36.4MP respectively. Compared to traditional DLSRs, Sony has a limited number of lenses available. Even though they are releasing new lenses every few months, other companies such as Canon and Nikon, already have a much wider variety of lenses. The Sony A7 line can use all their full-frame mirrorless lenses (FE mount), as well as all the E-mount lenses (but in crop mode). Thankfully, Sony offers adaptors like the LA-EA4 to allow A7 users to use any A-mount lens. And of course third party manufacturers such as Voigtländer, Zeiss, Rokinon and Sigma also have a few lenses available. The large, bulky DSLRs that most photographers use are becoming a thing of the past – in my opinion. This new compact system is light and easy to use – portability is winning many photographers over. 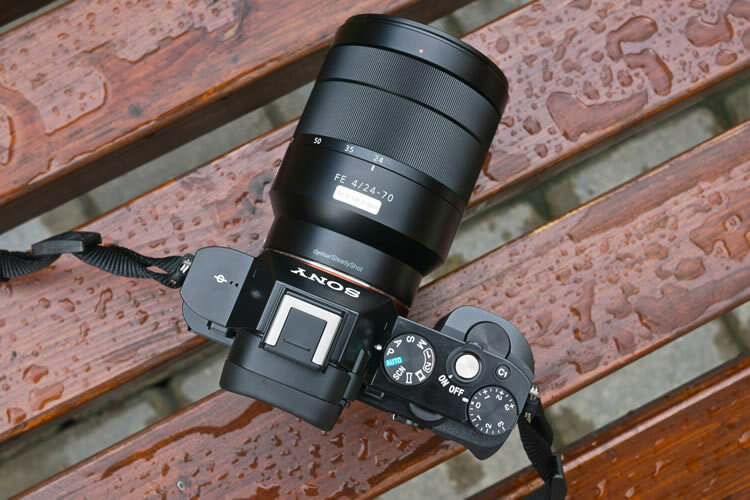 The Sony A7s offers an electronic viewfinder allowing photographers to see exactly what their camera sees. The Sony mirrorless system is also quite the performer when it comes to speed and frames per second. The focus peaking system on Sony mirrorless cameras allow you to see all the pixels that are in focus in your picture; whereas the traditional DSLR’s don’t have an adapted focal peak system. In a lot of cases, trying to focus manually at f1.4 is quite the challenge with traditional DSLR – not with the A7s. In summary, the A7s is a great camera depending on what you are looking for. The A7s is beat out by its twins the A7 and A7r in terms of megapixels, but it reigns supreme in ISO performance as well as video capabilities. Have you shot with any of the Sony A7 cameras? What did you think? I am a photographer, mom, and aspiring blogger/writer. I am the owner of Dixie Darlin’ Photography in Pearl, MS. In my free time, I love running, music, photographing anything that moves, hunting, fishing, watching football, baseball, and spending time with my son. I can be followed on Twitter and Google+ and my work can be seen on my Dixie Darlin’ Photography page as well as on Flickr.